Stoned by Andrew Loog Oldham. 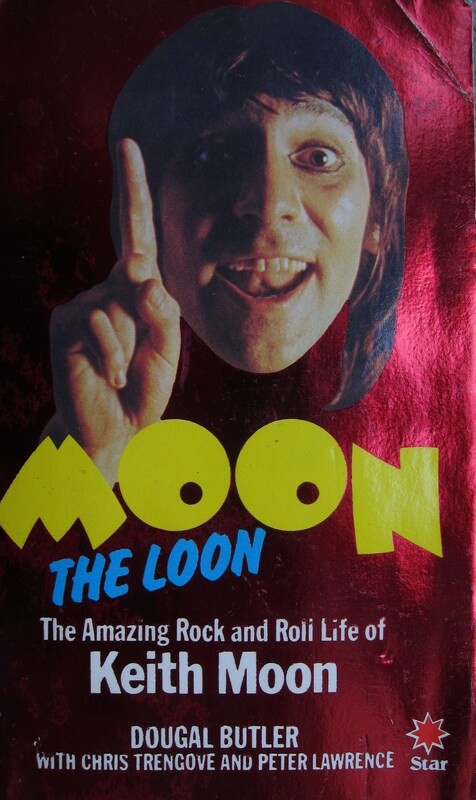 “Some great stories in this memoir by the former manager of the Rolling Stones (see also 2Stoned – the sequel)”. All These Years by Mark Lewisohn. I read the expanded edition which is a remarkable book and despite being 1,800 pages only tells of The Beatles’ early years. Superb stuff – and replaces The Complete Beatles Chronicle also by Mark Lewisohn in my list. The latter is a definitive account of The Beatles entire career day by day by the leading Beatles scholar.” See also Beatles Forever by Nicholas Schaffner for great photos and pictures…. Yeah Yeah Yeah by Bob Stanley. “To track the history of pop music you could buy “1001 Albums Before You Die”. It’s a pretty good album guide (as is The Rolling Stone Album Guide). Alternatively, you could keep those two as a door stop to leaf through from time to time and instead let Bob Stanley tell you the whole fascinating story in a far more engaging way – from the beginning of the charts to the end of the last century”. There’s a chapter by chapter Spotify playlist of Yeah Yeah Yeah through this link…. For a comprehensive Beatles-only list of over thirty books, click this Beatles Books link. Nice to see ‘Wonderland Avenue’ on your list – made quite an impression on me when I first read it! It’s certainly a great read…thanks for stopping by. Great blog and I love your site. I would recommend reading Patti Smith’s autobiography “Just Kids”. Well written and great insight into her creative process and life with Robert Mapplethorpe. Hi Tim – thanks for stopping by. I just saw Patti Smith’s bio at a record fair for £3. Your advice came too late and I didn’t buy it! I’ll keep a look out though: Horses is a classic album. 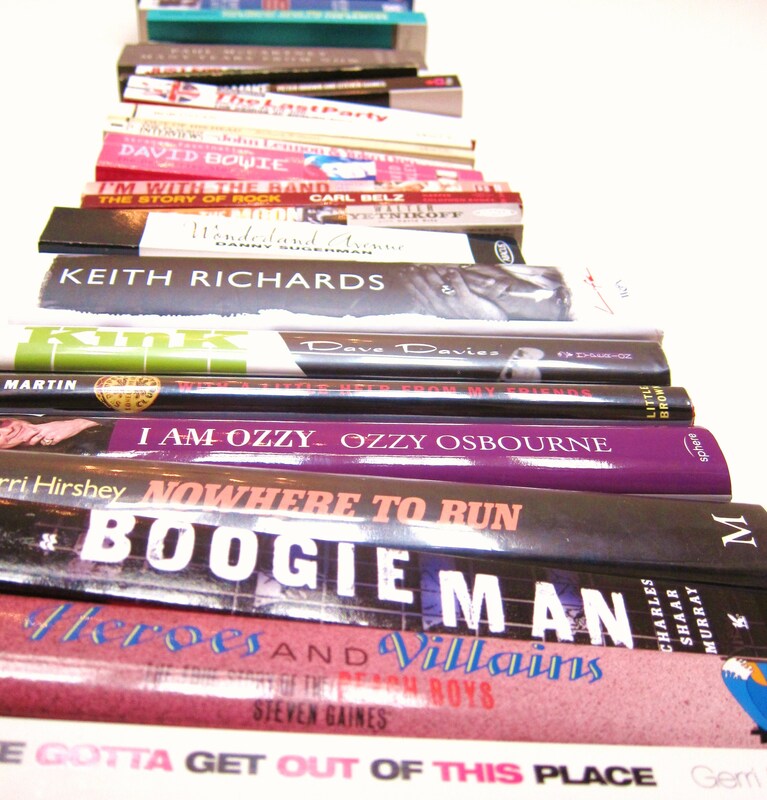 Miles’ biography of/with McCartney, ‘Many Years From Now’ is deserving of a place among this lot. The only Beatles-related item (other than perhaps their own ‘Anthology’ book) whose ‘authenticity’ and ‘insider’ detail is not the work of a pretender writing clever prose opinion and analysis but actually from one of those at the heart of it. ‘It could have been longer’ is a phrase you won’t often come up with after reading a big Beatles biog but, in this case, any amount of McCartney’s inside story would be welcome. Great lists – my personal favourite is ‘the songs that saved your life’ – the recording history of The Smiths. Even for non-fans, they had a prolific few years and it’s well worth exploring. I tried reading You Never Give Me Your Money last year – you’re right on about how the fab 4 were portrayed, they were starting to become pretty unlikeable, I had to put it down! Good to see you read the Guralnick bio of Elvis. Part 2 is excellent, as well–even if you aren’t a big Elvis fan. I recommend any Peter Guralnick, from Sweet Soul Music to Dream Boogie (about Sam Cooke). I see several on your list I need to get hold of. I really enjoyed Last Train – I’m sure his other books are worth picking up – he’s a good writer. No problems, have you read it? I’m a big fan of Paul Morley’s Words & Music. Not the typical rock’n’roll book, not much rock’n’roll even, but it made sense to me. My tastes have journeyed to weirder end of the spectrum, I’m the guy that liked side 2 of Low. You’re not the only one! Must check out Morley’s book – I hear good things about it. Any books about female musicians? Yes – I can wholeheartedly recommend We Gotta Get Out of this Place by Gerri Hirshey which is an excellent read. and Patti Smith’s Just Kids. Makes her seem so much vulnerable and human than the force of nature that we idolize. Great list – thank you! I enjoyed Patti Smith’s book also. ‘Fraid I don’t know much about pirated books however. Late to the after-party with this reply, but just stumbled upon your excellent, and well thought out, list of books. I would have to add “Our Band Could Be Your Life,” by Michael Azerad, and “Beneath The Underdog,” by Charles Mingus. The Azerad book is the best I’ve read about the scant few years of indie/underground bands it covers, especially the chapters on The Replacements and Husker Du. I’m from MN, listened to any and all music from that era, and Azerad was still able to amaze and enlighten me with his casual, yet penetrating, style. The Mingus book. Well, it’s just as weird and unpredictable as Mingus himself was, especially in his final years. A lot of people dismiss it as thinly veiled erotica, but I protest. Think of it as a conversation with the man himself (except, maybe, without the random shotgun blasts). It offers glimpses into Mingus’ world, and the world of jazz during his time, that books like Hentoff’s “Jazz” simply cannot. Thanks again for the great list; found a number which are now on my Amazon wishlist! Cheers! Thanks – I have the Azerad book but haven’t read it yet – hence not on the list! SCHORCHING WHIT AND MCR LIFE.ACE. DEFINITIVE NY PUNK ORAL SNAPSHOT. WAITS. “INNOCENT WHEN U DREAM. LEISTER BANGS AND NICK KENT STUFF. A PLEASURE RIDE. ENJOYED IT LOADS. SUPERB.WISH HE’D HURRY’N DO VOL2! PURE D.I.Y.RARE REAL DEAL ANARCHY. Hi! I recommend you check “Krautrocksampler” by Julian Cope. Adventures Of A Waterboy is a good read too. Great list btw.